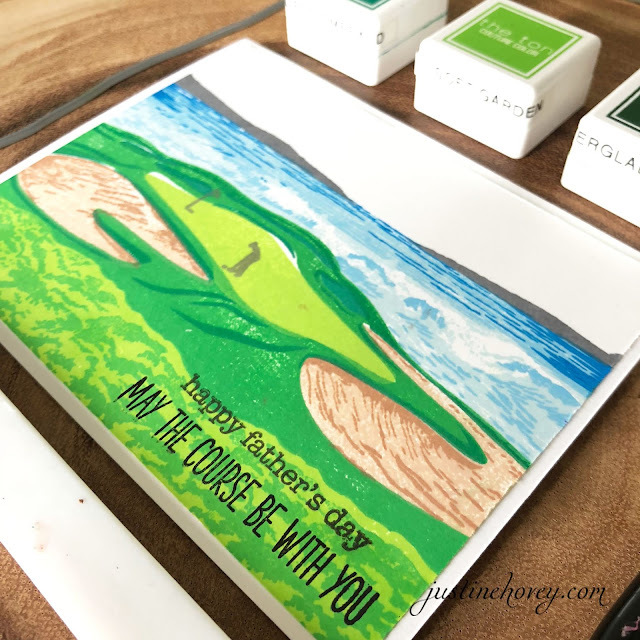 Here's to hoping my dad doesn't read my blog as I'm posting his Father's Day and Birthday card a bit early! 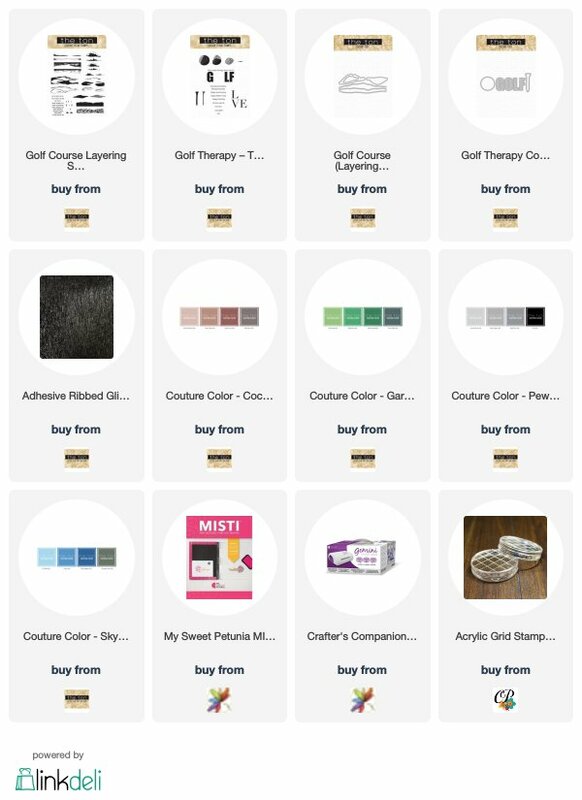 I always struggle with masculine cards and coming up with color schemes and ideas. That's why I'm so grateful for this amazing Course Layering and Golf Therapy set from The Ton Stamps. They take all the guess work out of it! I contacted Effie from The Ton a while back about using these stamps. 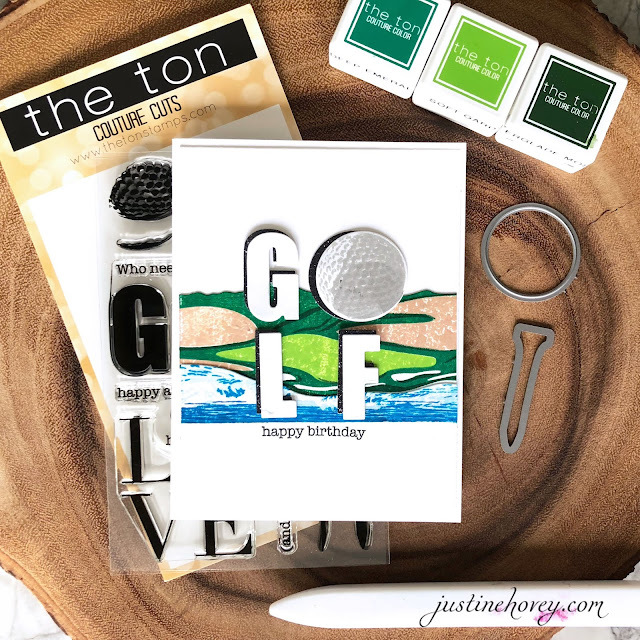 My dad is a major golf fan and I thought it would be nice to make him a golf themed card for Father's Day and his birthday. 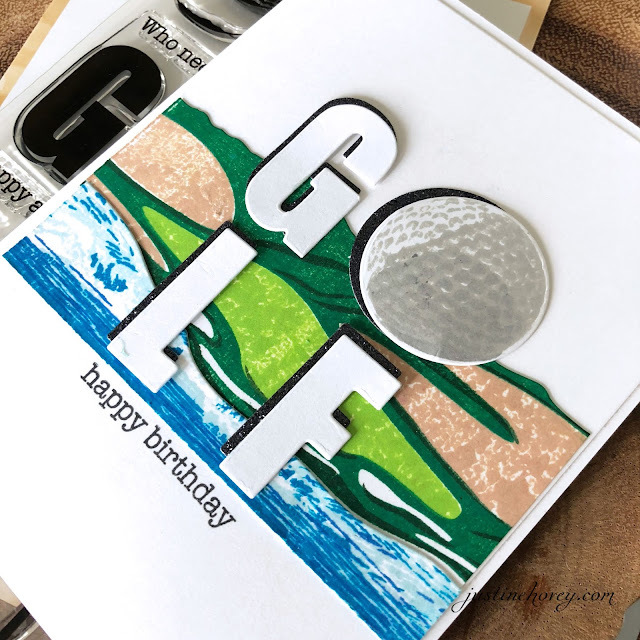 I love the detail in the layering of the stamps and how versatile they are. I mention different ways to use these stamps in the video above. Check out how realistic that water and golf ball look! It's amazing the realistic look one can achieve with layering stamps. Below, you can see some of the pretty inks colours I used from The Ton. I like that they come in four packs with the intention of layering so you don't have to sit and try to match colours. I created some wild grass at the bottom of the card, you can easily use those as cloud stamps for the sky as well! How cool is that?! 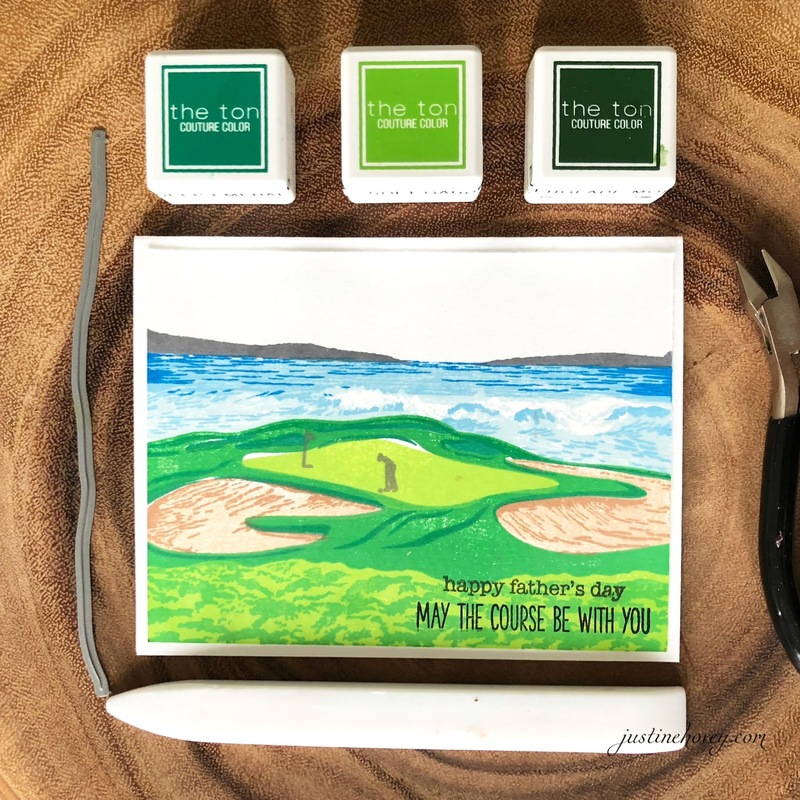 You can also use the water with a horizon line like I did on this card, or if you see the card above, I used the water to border the golf course. So well planned out!